I'm here to write my long-due post on SKII's Facial Treatment essence. I first raved about it here on my July Monthly Favorites, but haven't gotten time to do it till now! I hope you guys forgive me, and I'll start this review without further ado! 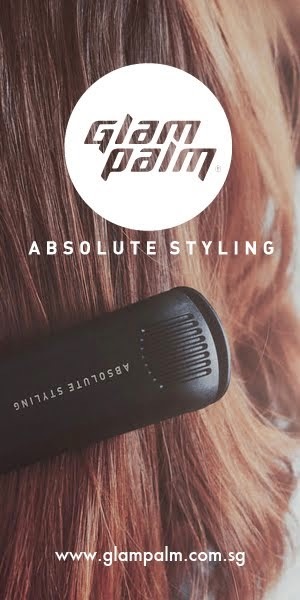 P/S: I'm not the first person to rave about this amazing product, I'm sure you'll find many others online, but I still have to HAVE to add to the list of gleaming testimonials. Containing more than 90% Pitera, this much loved miracle water is a must have for healthy, radiant skin. It helps maintain the skin's natural renewal cycle to its optimum condition to allow skin nourishment. It also works to balance the skin's PH and sebum secretion, so oily and dry areas are properly moisturized. Henceforth, for the rest of this post, the Facial Treatment Essence will be referred to as FTE for convenience. I first purchased the FTE in 2010 when I was facing extremely dry skin from my horrendous laser experience and needed something that would save me. Everything I was putting on my face hurt, besides FANCL. Masks, lotions, what have you, would all either break me out or turn my face redder than the sun. I was depressed. However, looking back, I figure I should NOT have bought some tester bottle from one of those dodgy parallel import shops in Ang Mo Kio because it could have been 1) fake or 2) expired. Anyway, I wasn't really earning money at that time so I went with the risk. It cost me $25 by the way, for the same amount I would've gotten FREE if I just worked up the nerve to approach SKII and asked for samples. Anyway, long story short(er), my face BURNED upon usage and broke out horrendously. I passed it on to my friend who had the same results. I was determined I was one of those people who wasn't fated to use this, so I passed it. Hit forward 3 years later to now, and I was curious again. Lucky for me this time, I had the sense to ask for a sample from the SKII counter in Raffles City and OH MY GOODNESS I fell in love with it straightaway. Forget any redness or bumps, everything was good. So I conclude that it was either too rich for me when I first started or the product was just a plain ol' fake/spoilt. I love and hate the packaging. I love it because it looks so classy. The metal cover atop a frosted glass base. It just deserves to be on tumblr for even looking this good. I know I know. But there are flaws mind you, there are flaws. For one, I'm always so deathly afraid of dropping the bottle and having it break so all my precious precious (and expensive) serum is all over the floor. I always envision myself lying amongst the scattered glass and letting my tears mingle with the Facial Treatment Essence, lol. I'm such a drama queen. No but really, it really does seem breakable (as to whether it is, I wouldn't know, I haven't tried breaking it). It worries me to take it on trips because you know that people who handle luggages aren't the most delicate or careful in the world. I see myself wrapping it in a towel or something so my heart can rest in peace. Plus the fact that it is "glass" and somewhat transparent means you have to keep it somewhere away from the sun so it does not oxidize as quickly. 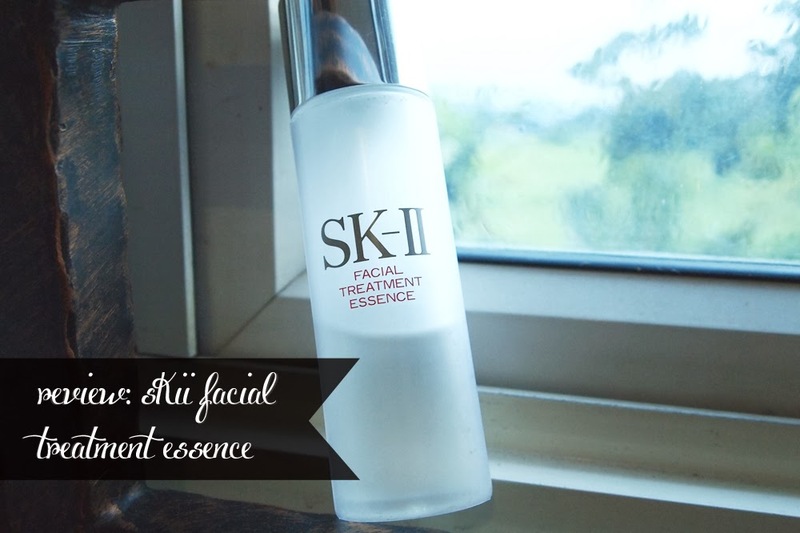 Right, the main ingredient in SKII's FTE is... *cue music*... Pitera! It's apparently the magic of rice in maintaining radiance and youth! It's so magical that the FTE claims to have a 90% concentration of it. I am a LITTLE skeptical about that but, oh well, what can I do aye? Pitera aside, there are other ingredients such as water, Butylene Glycol, Sodium Benzoate, Sorbic Acid, so on.. but what really gets me is the presence of Methylparaben. I am not a big fan of parabens, especially as someone with sensitive skin. As someone who has been a long time user of organic products so this was a little bit of a rude shock to me. However, as it turned out, my skin did not react to it (besides one week "adjusting") so it was all good. People have suggested two popular methods. One is to pour it into a cotton pad and wipe/dab it all over your face and neck, two is to pour it into your hands and pat it into your face. Personally, as someone who has tried both, I prefer the latter. It lessens waste (it always killed me to throw the pad away when it was still slightly damp) and I use less each time. I know some say you get a more even spreading of the product by using a cotton pad but I just find it so economically unfriendly. So yes, that's that. As you can see, my skin is less oily, has less blemishes, looks healthier and has that "glow" to it. I have to say, even I am very impressed because photos can only catch that much. And I swear upon my life I did not use any Photoshop to enhance any effects besides evening out the colors for the photos side-by-side. Since I've been using SKII, my skin problems have lessened: less pimples, lightening dark spots, lesser issues with dry skin, it's all in a bundle. This has been my lifesaver in so many ways, truly. This is how I look now with and without makeup. I look fairer with because of my sunblock and powder naturally, but I still love how they're radiant either way. I feel fairer and I feel my skin looks more translucent and healthy! I'm sure many of you have heard AMAZING things and also HORRIBLE things about this Miracle Water. None of those things are wrong per se because they are all based on opinions and different products work differently on different people (woo! that's a lot of the word 'different' in one go). However, I'll state the Pros and Cons for myself, and you guys decide if the pros outweight the cons, or the other way around. I haven't actually "stopped" using it before, I've kept on since my first use. But Ashley reported to me that upon stopping the use of the FTE, her skin looked "bleh" (her words not mine) and lost its glow.... It could be our overactive imagination, but it seems 1000000 other people have reported the same thing so... yes. Anytime after 15. That's what the Sales Assistant told me anyways. To play safe though, I don't think you should be using such potent products at such a young age. I think 18 is an okay age. From 15 onwards, just make sure you slather on good sunblock (DON'T EVEN THINK OF USING BANANA BOAT) and use respectable skincare brands. When I was 14, I was using Neutrogena and that was fine enough for my skin. I started getting very bad skin at about 17 and that's when I had to resort to greater methods. Obviously I did not start then, because I did not have the financial means to. I L.O.V.E this Facial Treatment Essence. Nothing could tear me away from it. Besides the fact that I may not be able to afford it if I ever lose my job *touch wood* and if the effects start wearing off/causing problems. My boyfriend normally doesn't react much to my skin, his answer being, "Same" everytime I ask, "Does my skin look different today????" With this though, he does kind of have that 'enlightening' moment where he goes, "Ohhhh yeah!! You look so glowy now!" When Ash first came back from Hong Kong, she thought I was using some highlighter/illuminator on my face! I was so proud to say that it was just SKII, and that now I've converted her to the bright side.. heh heh heh. If you haven't tried this out, just ask for a sample from the SKII counter. 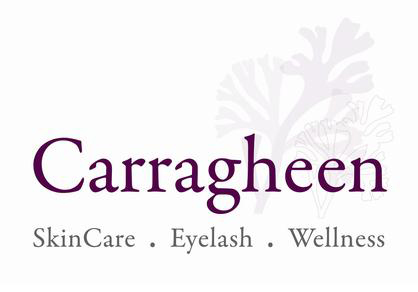 At the same time, you could ask for a skin consultation! They'd even help you take a photo of your skin now (complete with skin analysis) and you could come back 1-2 months later after using their products to compare if it really works! I think that's an absolutely amazing system to have, so you should go check it out. Do you guys love this too? Give us a shout out and let us know! 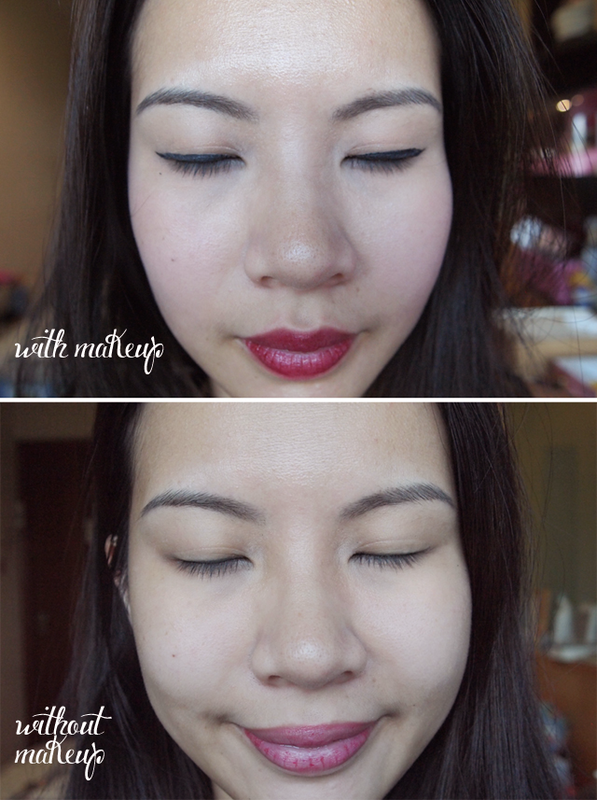 PS: Once again, for those who are curious, you can read about my updated SK-II Review Here! mine has always been clear.. I've never heard of it being yellow, that's a little worrying :( And I've had mine for almost 5 months and it has never yellowed out.. have you read other reviews on whether this can happen? The smell is fine with me but yes people have mentioned that it isn't the best smelling and some even find it a huge turn off! As for the breakout, it happens due to purging. Give it 2 weeks-1 month and it should be fine! Hey babe! Can I Chk how long it took for the before n after pic? The glow is amazing! Hi, I hv a very bad dry n sensitive skin. On my two cheeks n chin. Very itchy. �� So am i suitable to use tis products? I see many doctors , do blood test but cant cure. Can u help me? ����i nit help! sorry for the late reply! Was caught up with many other things. I think if you have very dry and sensitive skin you might want to stay away from this. This is definitely a strong product.. Perhaps you might want to see a dermatologist or try really gentle brands out like Avene! Hope this helps! 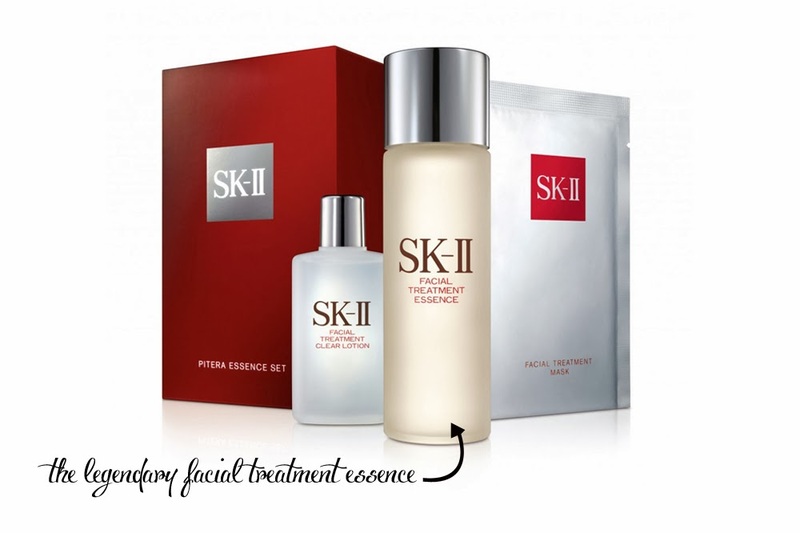 Skii facial treatment is really amazing...it is showing drastic change in above photos. Hi may I know ur Sk II regimen? Wat else u using from Sk? Hi, I'm no longer on SKII. But when I was, I used their toner and essence that's about it! :) I tried their cellumination but it was a bit too dry for me after a few months so I stopped. I also tried their moisturizer but I found a better one after. May I know why you are no longer on SKII? You had a glowing review of the product in 2013. 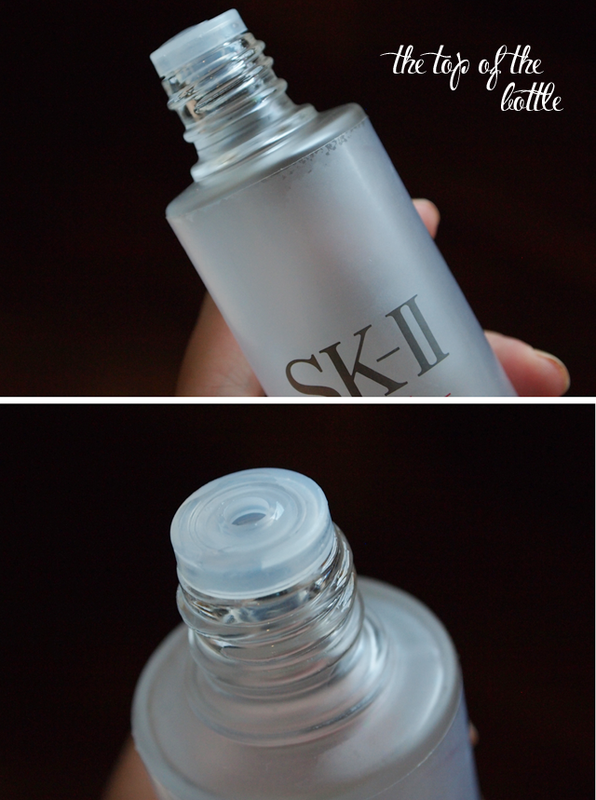 I myself is a lifelong user of SKII and now I wonder whether there is a better alternative. Thanks. I am not no longer on SKII, it's just that I use it sporadically :) I heard even from the counter girls that SKII requires a break in between or it loses its efficacy. Apparently, a good 1 year break in between 5 years is a good option, and I thought since I was younger, I would just not take the break and just the SKII as and when rather than depend on it too much. Since it's my job to test out different products too, I cannot always stick to SKII if not it's not a fair gauge to those I'm trying out! Hi! May I know what brand/type of skincare would you recommend for the early 20s? 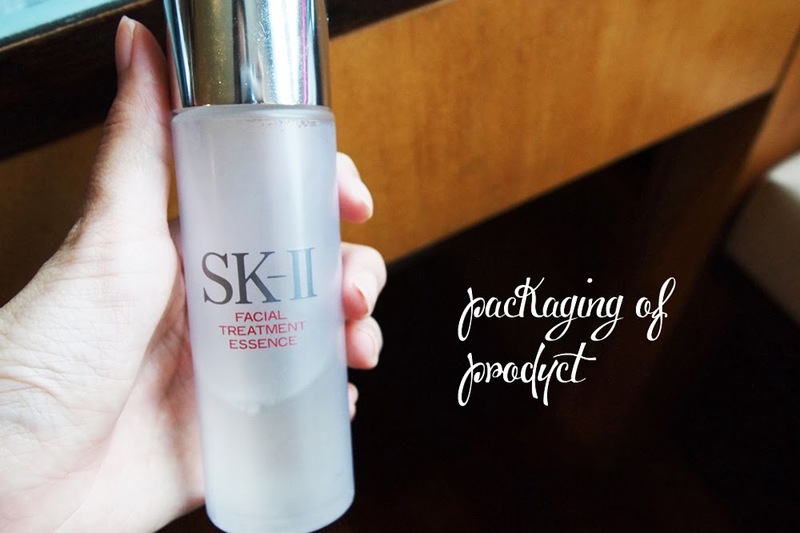 Are you recommending if I have dry skin that I not use SK-II FTE? if you have dry skin this is fine, only if your skin is sensitive as well that I suggest that you don't! Someone actually asked me this before :( I don't know how to help dear. Sorry, mine normally remains clear no matter how long I've had it. I don't think it'd be great to use it when it's yellow! If the product has yellowed it has oxidised and the ingredients may no longer be potent and may also not be safe on the skin. If you only have had this for a short time I am sure you can get it replaced, as the customer service is good with SK-II. If it is old, that is the reason. Many SK-II products do have an expiration date printed on the box. Last time I was looking the products had a good three years of lifespan from purchse. If you keep it near light, direct sun or heat it will go yellow more quickly. You can always call the SK-II customer hotline in your area for advice. I wouldn't use it if I were you. Hi... i've been.using this product about two weeks now.. everytime after I used the fte, I felt burning sensation on my skin but it will disappear around 15 minit.. is this the sign that my skin is not suitable for this product? Hi Steff! Omg, yeah thats one thing I really quite dislike about the whole design. It looks beautiful but it's not the sturdiest! Thanks for the heads up :) Though im sorry to hear what happened to yours! Hi. Great review! Do you know if the FTE on strawberrynet is fake? Hi dear, I've never bought it from there so I'm unable to ascertain. But I've heard people buying pretty legit stuff from the website! I bought the whole pack - cleaner - FTE - brightening serum ..... bad product - I have never used such horrendous product - did nothing to my skin. I'm an SK11 long-time user. It's great to read your and others' experience on its products. Just wondering, what did you do with the used bottle after the products run out? It's just that it's such a waste and not environment friendly to throw away. But I don't currently have other option than collecting them first for the time being..
Hi, Do you have any idea how long this can be kept for? I bought it over a year ago, used only half and stopped. Want to try using it again. Hi, sorry it took me awhile to get back! To be honest I think if it's been over a year, the best option is not to use it. There is an expiry date set on a lot of cosmetics which have active ingredients, and I think most recommend a usage time of a year or less!